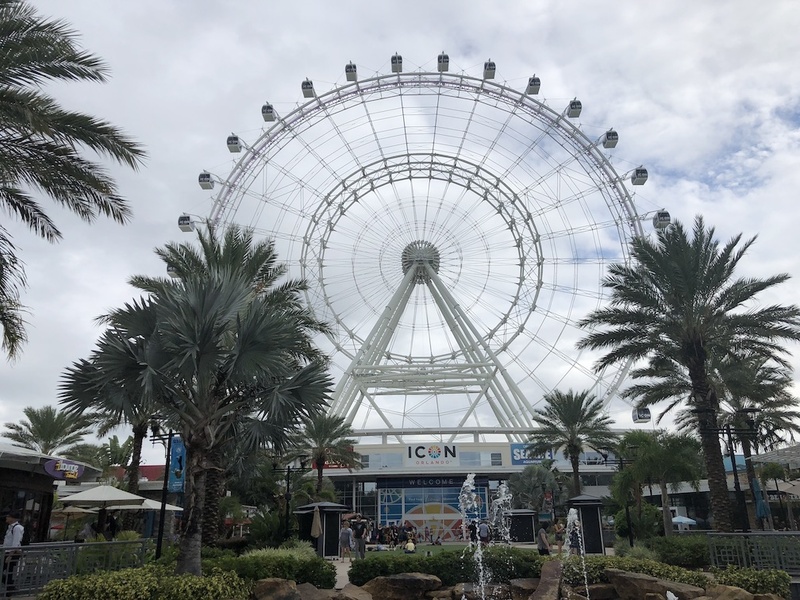 Over a year ago I had taken my daughters to check out an attraction we found along International Drive in Orlando called the Coca-Cola Orlando Eye. This was a huge ferris wheel that can be seen for miles around the surrounding areas. 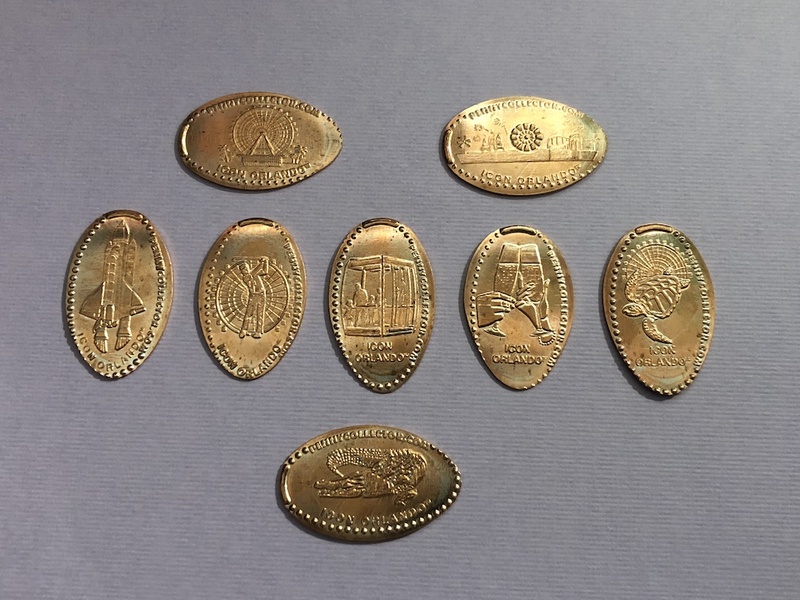 Not too long ago it had been rebranded as the Icon Orlando, and rumor had it that the pressed penny designs here had been updated due to this change. It was time for another visit to see what has changed. 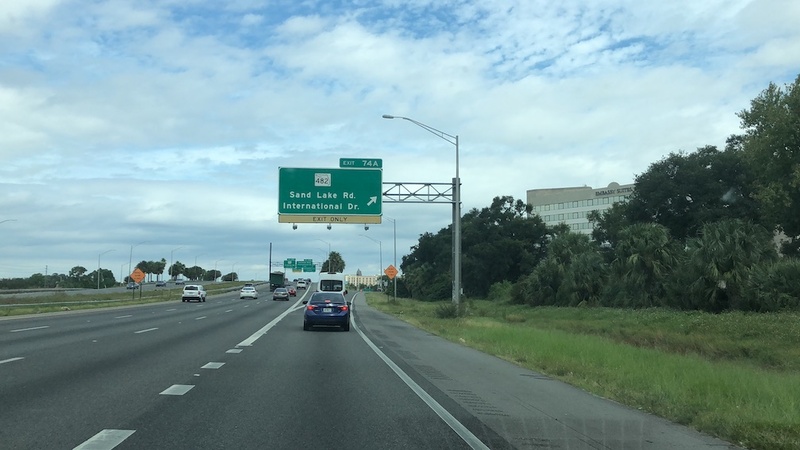 We jumped in our car and made the drive down I-4 towards International Drive. One really nice thing about this area is that they offer free parking in their garage. 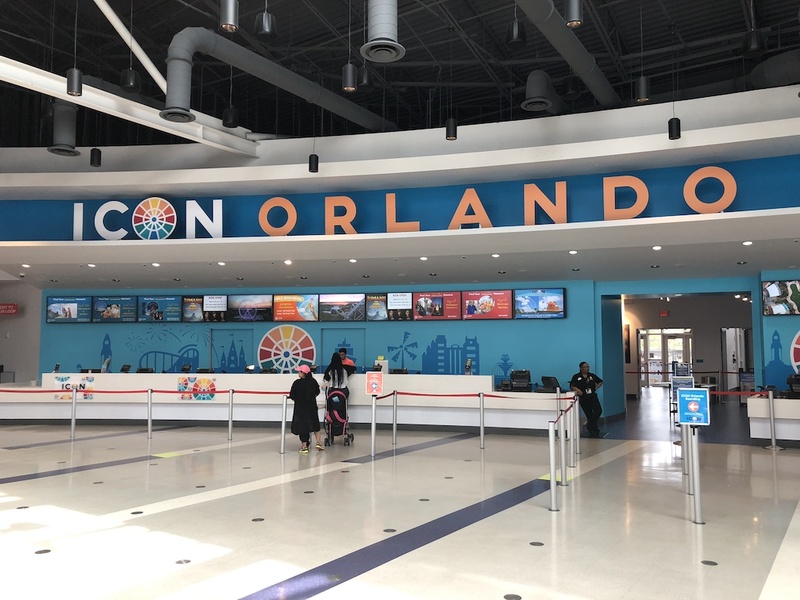 We parked the car and as we headed out towards the Icon Orlando we could see the rebranded starting all around. Inside the previously red interior color has been changed to blue, and the new sign above the ticket counters has been updated to the new name. 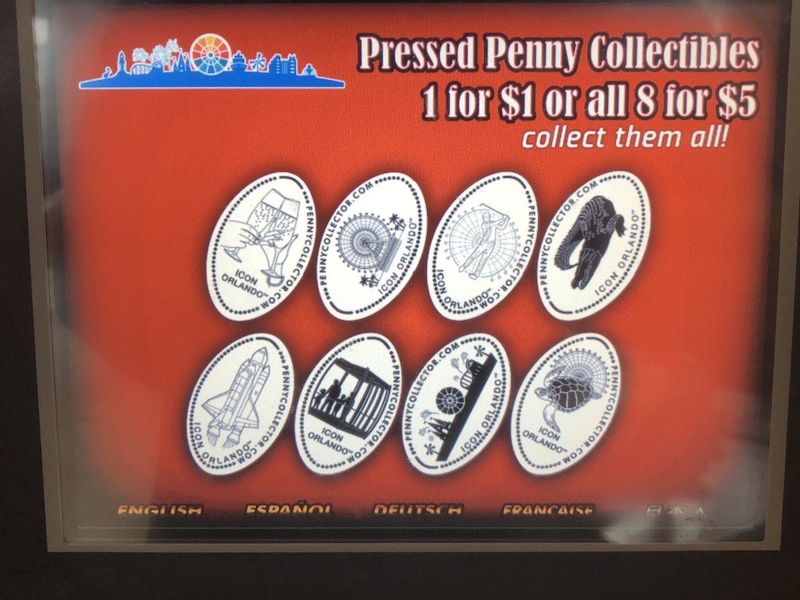 We didn’t have time to actually go up in the attraction this visit but thankfully the penny machine does not need paid admission to access. Just to the right of the ticket counter is the exit / gift shop and the penny machine right outside. The cabinet is pretty much the same, but does have one slight difference. Just below the touch screen is the Icon Orlando Skyline logo. Here is a close up of the touch screen with all the designs available. The price is still $1 for 1 penny, or $5 for all 8. I’m sure you know which option I went for. 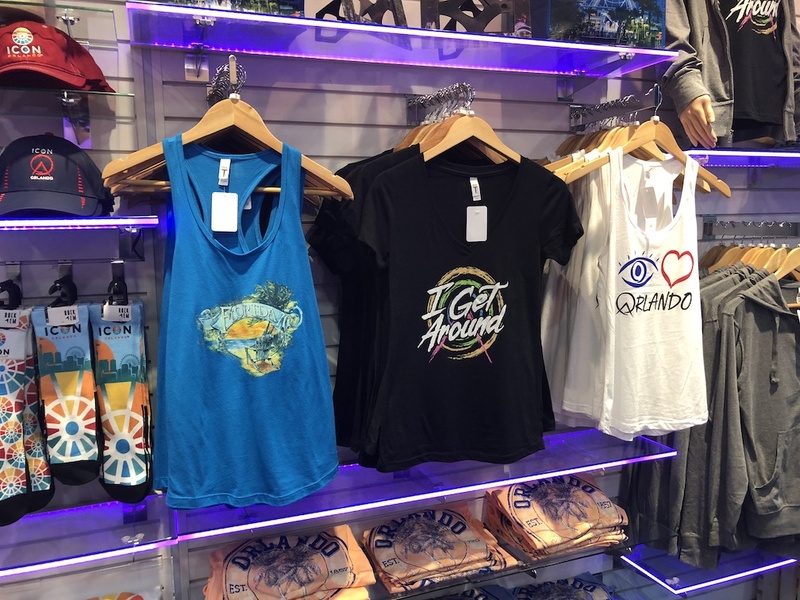 The designs are fairly similar to the previous ones but do now have the new name Icon Orlando on them. 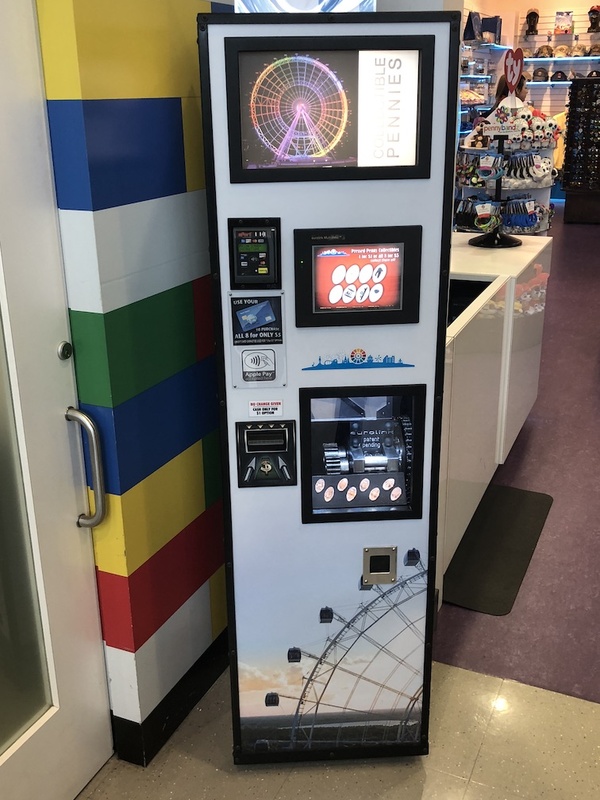 After I had pressed a few sets of the coins we headed into the gift shop to look around. 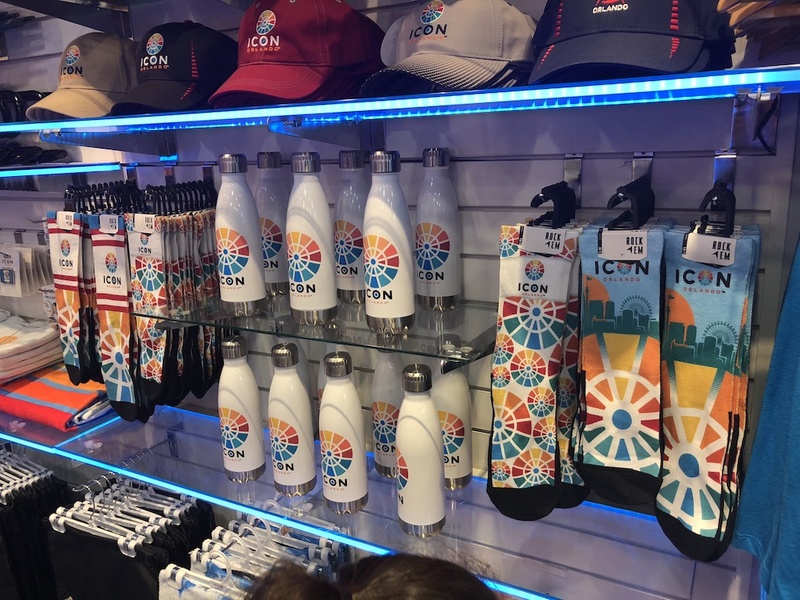 All the new merch was available and I do like the new blue color. There is absolutely no sign of the previous Coca-Cola branding. 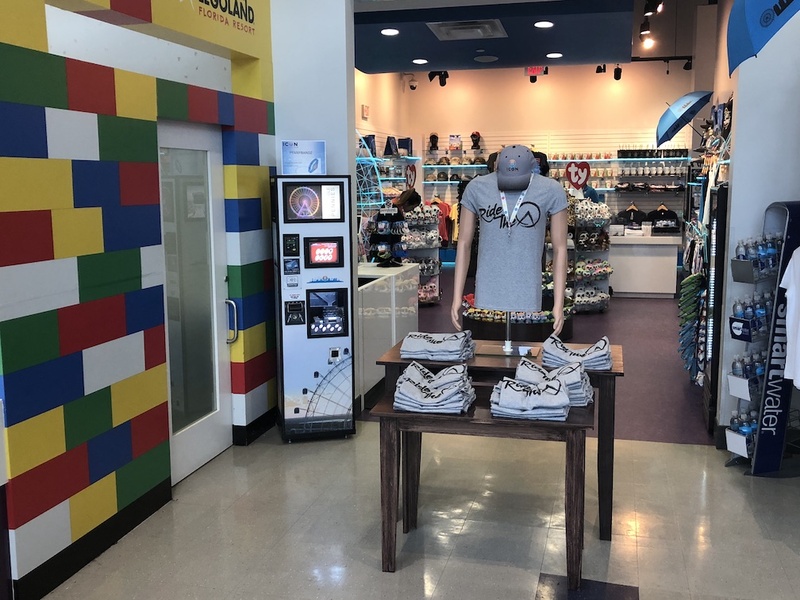 This is really a fun place to visit and other than the Icon Orlando, you can also visit Madame Tussauds or the SeaLife aquarium. The Icon Orlando though is quite the experience and once up at the very top you have fantastic views of the Orlando area. If you aren’t a fan of heights you may want to skip it, but just remember the pennies are easily obtained without admission. Happy Collecting!